Canon once again was the main sponsor at The Albuquerque International Balloon Fiesta. Canon offered people cameras and lenses to use each day of the event for no charge. 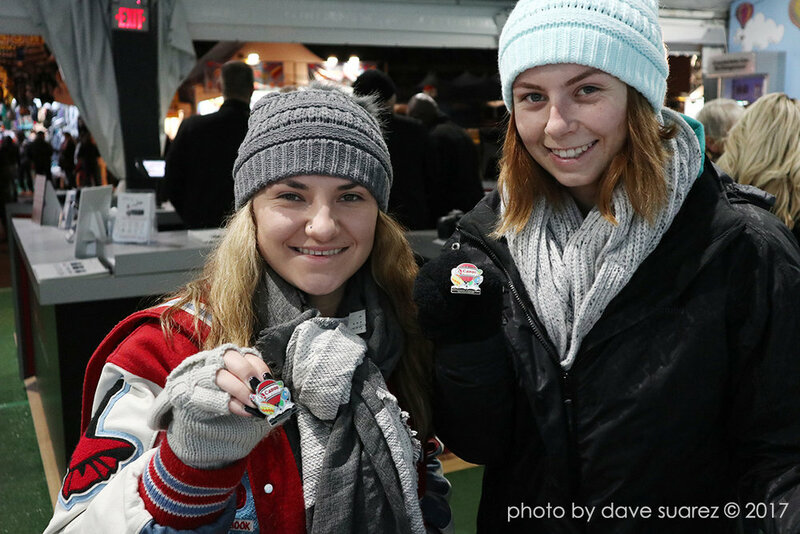 Everyone was also given a free 8GB SD card so they could take all their images home. For the second year in a row I worked in the large Canon tent manning the “Ask The Expert” counter. I stayed busy all day mainly showing people how to adjust their borrowed cameras to capture the days festivities. 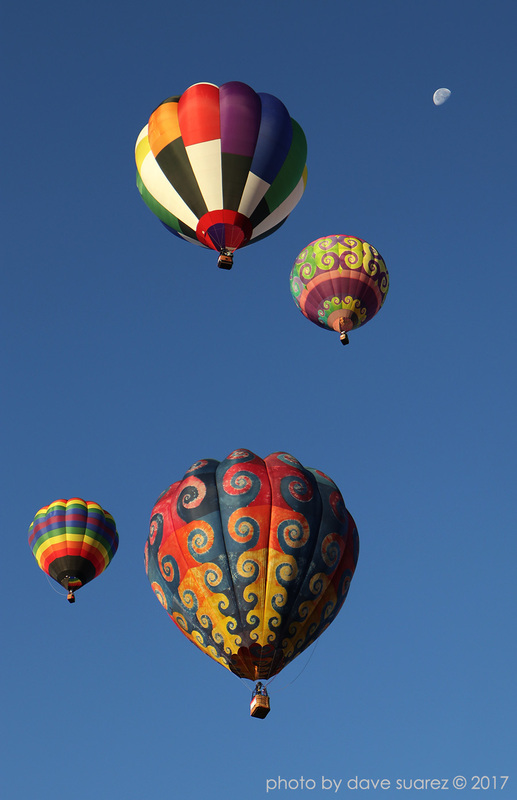 The Balloon Fiesta is the largest balloon convention in the world. 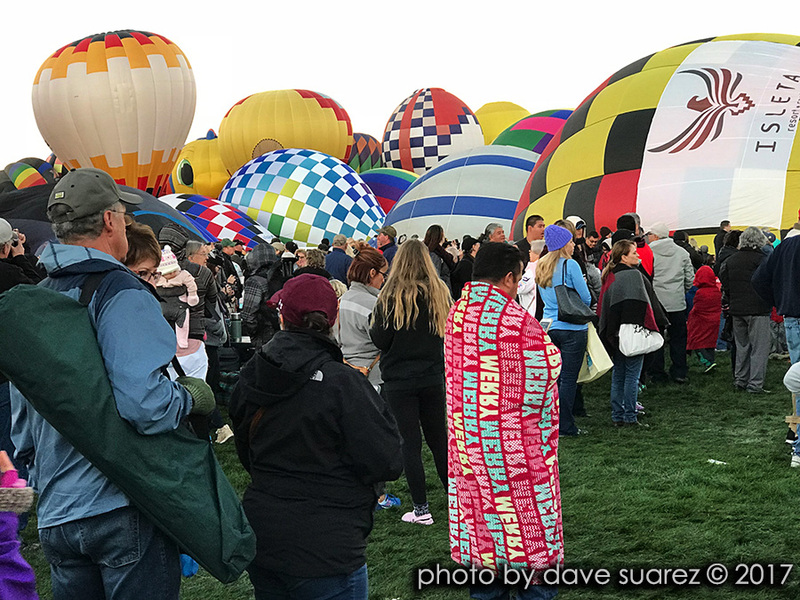 The number of registered balloons reached a peak of 1,019 in 2000, prompting the Balloon Fiesta Board to limit the number to 750 starting in 2001, citing a desire for "quality over quantity". The limit was changed to 600 in 2009 — citing recent growth in the city and a loss of landing zones. On any given day during the festival, up to 100,000 spectators may be on the launch field where they are provided the rare opportunity to observe inflation and take off procedures. Countless more people gather at landing sites all over the city to watch incoming balloons. One of the biggest events of the fiesta, where all participating balloons launch in two waves, filling the sky with hundreds of balloons at once. 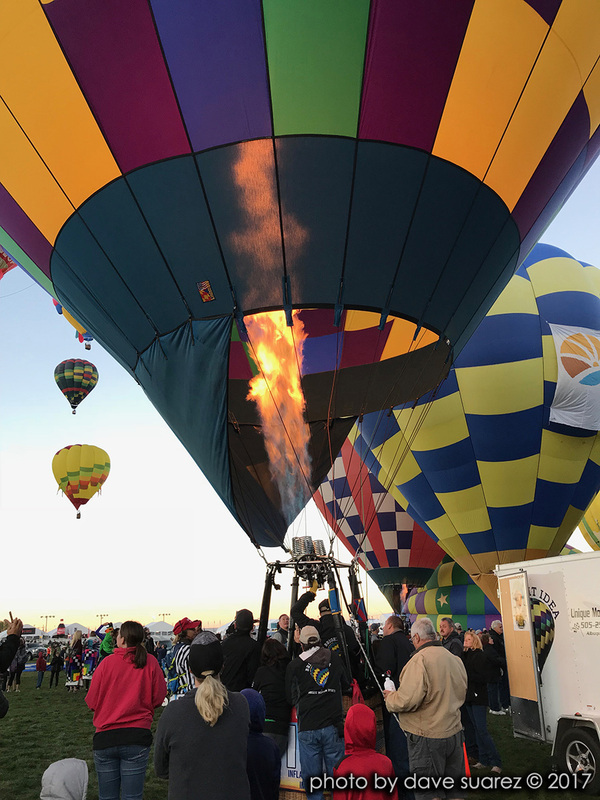 Large numbers of balloons are illuminated at night by their propane burners. They stand static and do not take off during these events. The "Glowdeo" is a night glow for the special shapes balloons.